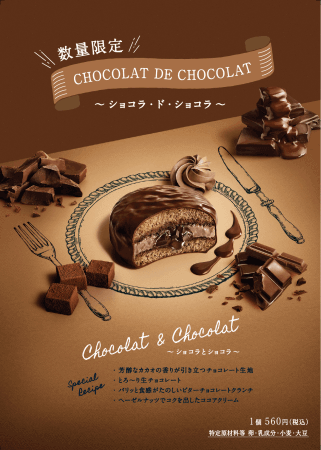 Lotte released their new limited-edition ‘Chocolat de Chocolat’ chocolate pies on October 29. These chocolate pies are made with what’s known as ‘nama’ chocolate in Japan, or ‘raw’ chocolate, which is a form of ganache. They began being sold at a specialist shop located in Keio Department Store in Shinjuku since April 19, 2018 which will be open for a limited period of one-year. 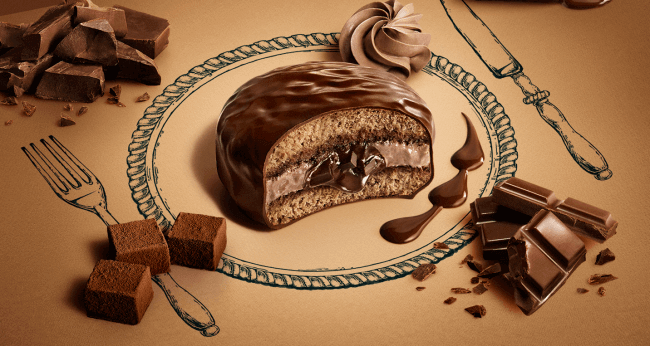 Now, for the first time ever, the shop is selling a wintertime version filled with ganache. The new pie was created by the shop’s chef and owner Toshi Yoroizuka whose expertise enabled him to carefully select the right ingredients to produce it. It’s made with a chocolate batter that draws out the rich smell and taste of the cocoa, chocolate ganache, crunchy chocolate pieces for delightful texture, cocoa cream that bring out the richness of the hazelnuts and more. They keep for up to two days and are limited in quantity, so don’t miss out!